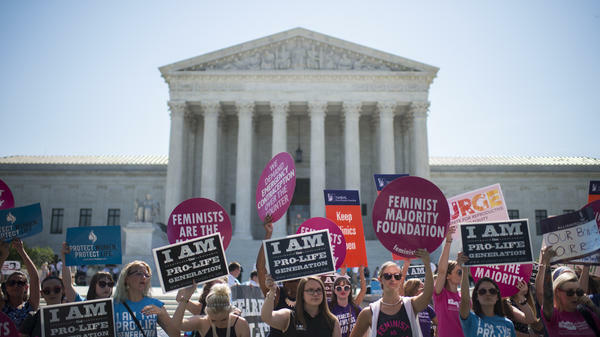 Abortion rights supporters and opponents rally outside of the U.S. Supreme Court on June 20. For many women in Texas, abortions are getting harder to obtain. The cost of the procedure is increasing, and so are the distances people have to travel to get one. For some, that’s making it almost impossible to get an abortion, but there are groups here in Austin working to transport women to clinics far from home and help them cover the costs. 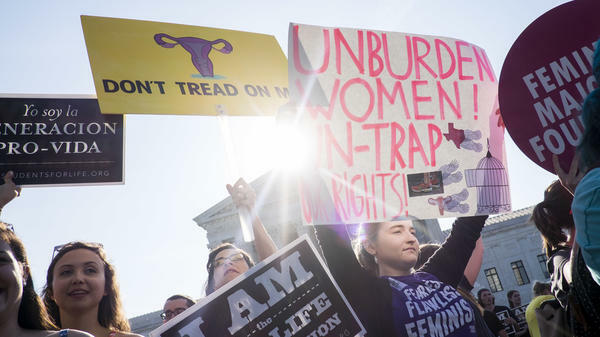 The U.S. Supreme Court is expected to issue a ruling on Texas’s controversial abortion bill in the coming weeks. 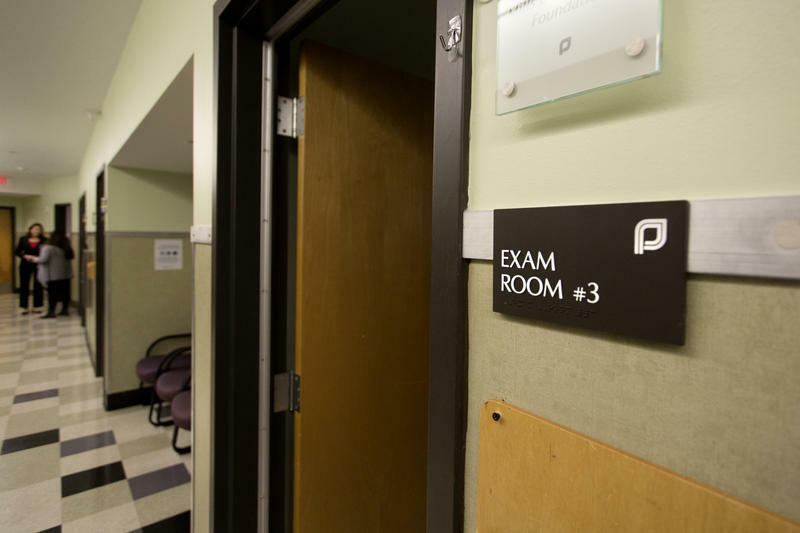 Abortion providers and activists in Texas are waiting to hear what the court decides. In the meantime, they are also preparing for a possible loss and clinic closures that would follow.